As a fully integrated wire harness manufacturer, we strive to provide unyielding quality for our recreational wire harnesses. These wire assemblies are succumbed by the elements and encounter many issues with corrosion and water resistance. We provided solutions to these problems by ensuring the components are properly sealed and weather protected. Boats, ships, RV’s, or motorcycles require a reliable electrical framework. 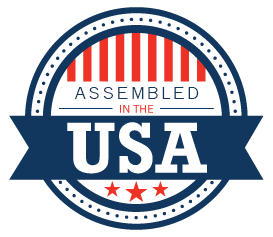 Our assemblies are designed to provide you with the muscle you need. Whether you need and individual component, sub-assembly or design application, we have the product or service to fill the request. Standards change industry to industry understanding these requirement demands the need for tight quality control. Equipment subjected to salt water, streams or lakes takes a special type of connector and wire combination. Our wire harness team works with you to make that determination. Our experience in over molding, plastic injection and wire harness combines the knowledge needed to manufacture an item to meet these rugged conditions.